This course is designed to bridge the gap between school and university – and is the perfect preparation for a University Foundation Course, at St Clare’s or elsewhere, in September. Individual support and guidance is a high priority at St Clare’s. 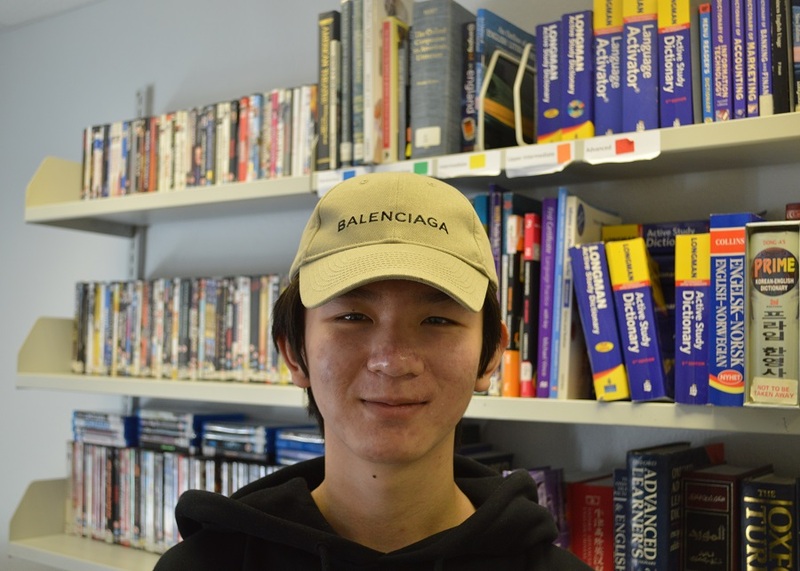 Small class-sizes (maximum 12) and weekly meetings with your own personal tutor provide academic support; and the enrichment programme creates opportunities to develop your English in new and exciting ways through shared activities, special study visits and guest speakers. The Gateway to University course was really good. I liked my teachers and made friends with people from different nationalities. Playing basketball with classmates and practicing my English in a supportive environment helped me to settle into life in the UK. Writing: brainstorming, planning, drafting, checking. Reading: develop reading sub-skills: scanning, skimming, sifting. Speaking: improve your pronunciation and confidence. Project your voice! Listening: learn how English is really spoken and convert sound into words. IELTS Tests: one entrance fee is included in your tuition fees. Time Management: learn strategies to make the most of your time. Self-study: structure and review your learning with guidance from a teacher every day. Skills surgery: focus on your own linguistic needs every week. Note-taking: revise more effectively with clear and concise notes. Autonomous learning: find out how to learn on your own. Write your own words: not Wikipedia’s! Learn how to cite and reference sources in academic essays. Careers Advice: start planning for university with the Higher Education Advisor. Awareness: learn about life in the UK and other countries. Cooperation: take part in group discussions and learn with classmates in pairs. Collaboration: work together and make presentations in pairs and small groups. Develop an open mind and question your ideas. 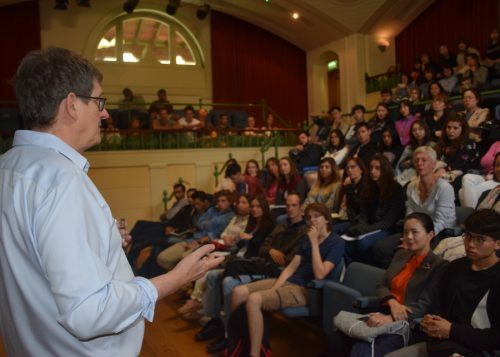 Broaden your horizons by attending talks from guest speakers and going on study visits. Please fill in this form to submit an enquiry about our Gateway to University course. IELTS is the International English Language Testing System. It measures your ability to communicate in English across the four language skills — listening, speaking, reading and writing — and is for people who intend to study or work where English is the language of communication. It is recognised worldwide in more than 4,500 institutions in 120 countries including the UK, USA, Canada, Australia and New Zealand. Not surprisingly, therefore, it is the most popular examination for St Clare’s students. IELTS is regarded as the single most important requirement for non-native speakers who wish to enter a university in the UK. Tests can be taken in Oxford every month and the results are available within three weeks. You will normally need a score of 6.0 or higher to join a university in the UK. Entry test: we give you a number of tests on arrival to help assess your level on entry. Setting goals: your teacher discusses your needs and agrees “learning milestones”. Classroom tasks: small classes provide a supportive learning environment. After-class: teachers set homework tasks which extend your classroom learning. Self-Access: you are given guidance on computer-aided learning and test packages. Regular tests: you take internal tests in class to help decide the date of your examination. The careers service at St Clare’s is exceptional. You can visit the careers library to find out more about universities around the world, read the St Clare’s careers blog, and you will receive a weekly newsletter with information and ideas about education and the world of work. Our team of dedicated, experienced and impartial advisers can help you explore your options after the gateway programme and prepare for your future. Please note: Prices are approximate please contact us at ic.enquiries@stclares.ac.uk if you have any questions.